Chi, Jennifer (ed.). 2015. The Eye of the Shah: Qajar Court Photography and the Persian Past. 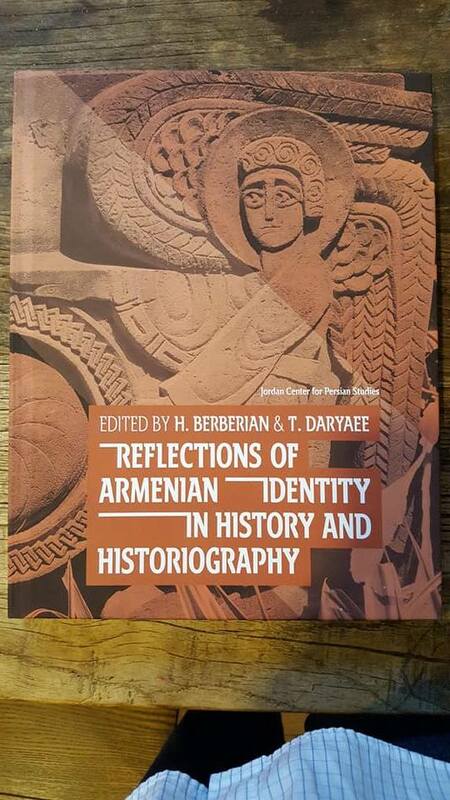 With contributions by Carmen Pérez González, Judith Lerner, and Reza Sheikh. Princeton, N.J.: Princeton University Press. A while ago we posted a link about the exhibition The Eye of the Shah: Qajar Court Photography and the Persian Past. We now draw attention to the catalogue of the exhibition, which presents nearly 200 photographs and contributions by Carmen Perez Gonzalez, Bergische Universität Wuppertal; Reza Sheikh, Independent Scholar; and Judith A. Lerner, Institute for the Study of the Ancient World. The catalogue’s essays discuss such topics as the achievements of court photographers in the service of Naser al-Din Shah, including Reza ‘Akkasbashi, ‘Abdollah Mirza Qajar, and Dust Mohammad Khan Mo’ayyer al-Mamalek, and the volume also examines the role of photography in helping Iranians document Iran’s pre-Islamic monuments during the second half of the nineteenth century. For more information, see the catalogue or the publisher websites. Merhavy, Menahem. 2015. Religious Appropriation of National Symbols in Iran: Searching for Cyrus the Great. Iranian Studies. 48(6), 933-948. In this article I examine the debate over the character of Cyrus the Great in Iran during the last four decades, using it as a prism to view the struggle over the desired balance between religious and ethnic components of Iranian identity. Heated polemics over the historical figure of Cyrus and his legacy reveal undercurrents of Iranian identity dilemmas as well as different and conflicting views of Iranian identity. Beyond a mere historical or religious controversy, the debate over the “right” memory of Cyrus presents an interesting case of shifting emphasis on identity and sources of political inspiration in Iranian society from the late 1960s to the present. Moreover, putting the debate over the ancient king in perspective, there emerges a wider picture of religious adaptation and embrace of what once seemed pagan or secular. Mozaffari, Ali. 2014. Forming national identity in Iran: The idea of homeland derived from ancient Persian and Islamic imaginations of place. London: I.B. Tauris. Modern Iran is a country with two significant but competing discourses of national identity, one stemming from ancient pre-Islamic customs and mythology, the other from Islamic Shi’i practices and beliefs. At one time co-existing and often mutually reinforcing, in more modern times they have been appropriated by intellectuals and the state who have drawn upon their narratives and traditions to support and authenticate their ideologies. The result has been an often-confused notion of identity in Iran. In this essential work, Ali Mozaffari explores the complex processes involved in the formation of Iranian national identity. He lays particular stress upon the importance of place, for it is through the concept of place that collective national identity and ideas of homeland are expressed and disseminated. The author reveals the ways in which homeland is conceived both through designated permanent sites and ritual performance, illustrating his arguments through an analysis of the ancient Achaemenid capital of Persepolis and the Shi’i rituals of Moharram.